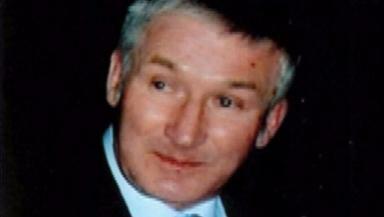 Brian McKandie: Allegedly bludgeoned to death in cottage. A senior detective told a court the injuries suffered by a mechanic allegedly bludgeoned to death in his home were the worst he had ever seen. Brian McKandie, 67, was said to have been brutally beaten at his cottage in rural Aberdeenshire. Steven Sidebottom denies murdering and robbing Mr McKandie at his home in Badenscoth near Rothienorman on March 11, 2016. Inspector Gary Winter, of Police Scotland's Major Investgation Team, told the jury officers had interviewed more than 1800 people during door to door enquiries. They also scoured CCTV obtained from properties across a 152 square mile area. The trial also heard Mr McKandie had left an estate of more than £800,000 following his death comprising of bank accounts, investments, his property and £200,000 of cash stuffed in boxes around his home. The court was also shown footage from a BBC Crimewatch programme in which an appeal was launched for information some six months after the killing. During it a senior detective urges anyone who had seen two men in a burgundy car at Mr McKandie's home the day of his death to come forward. But detective inspector Winter - who was the deputy senior investigating officer in the probe - told the court he had now ruled out that car having been at the scene on the day. He said: "That weekend [after the murder investigation was launched] a witness came forward saying there were two people there around 5pm. "We took that in good faith that the witness was accurate and had no reason to disbelieve them. "We put that out but by putting it out that quickly we don't have he time to check the credibility of that. "That resulted in other witnesses coming forward. "There is no physical evidence to support those people and that vehicle having been there that day." Turning to the brutality of the attack on Mr McKandie, advocate depute Iain McSporran QC said: "I take it I would not be wrong that the level of violence was extreme?" DI Winter said: "I have never ever seen injuries like that." Defence counsel Iain Duguid QC asked DI Winter if he was aware of a witness describing men arguing with Mr McKandie outside his home on the evening he died. He added: "Did anyone describe in a statement making a finger gesture that suggested a gun type activity?" DI Winter said: "Not that I'm aware of." Sidebottom, 25, of Aberdeenshire, denies a single charge of murder. 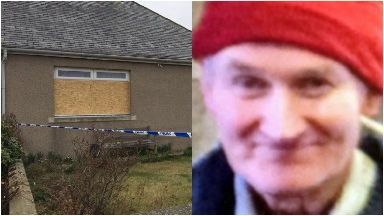 It is alleged on March 11, 2016, at Fairview Cottages, Badenscoth, Rothienorman, Aberdeenshire, he murdered Brian McKandie and robbed him of a sum of money. Sidebottom denies repeatedly striking Mr McKandie with an unidentified implement or implements.